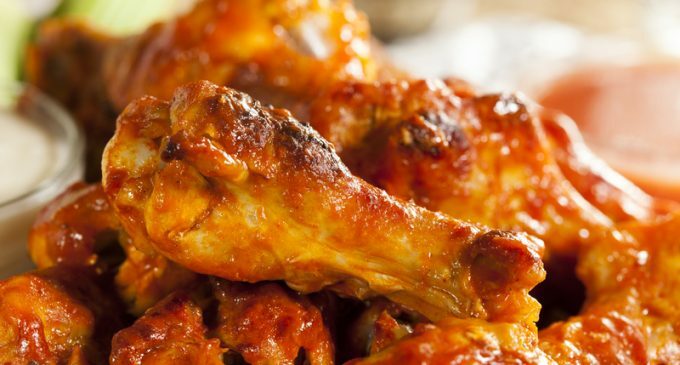 If you're looking for a spicy, savory recipe that's perfect as a snack or appetizer for parties, and also as a main course for a hearty dinner, then you just can't go wrong with chicken wings. There are tons of ways to make them, but one of our favorite versions are these Carolina hot wings, which use a spicy, savory and slightly sweet mixture of ketchup, brown sugar, cayenne powder, and black pepper for a mouthwatering marinade that really gives these wings full-bodied flavor. We also like to add some Tabasco sauce for a little extra bite. They're also incredibly easy to make. Just pour the marinade into a Ziploc bag, add the wings, and marinade for at least an hour to allow the tender, succulent wings to soak up all of that hearty flavor. Then, place them on the grill for about half an hour, and you have one heck of a party snack or a nice satisfying dinner. These wings are perfect for your next backyard cookout, and will definitely have all of your guests raving! To learn how to make these savory Carolina hot wings at home, please continue to Page (2) for the full list of ingredients and complete cooking instructions. I really could use this recipe.